Familiarity is widely accepted as a key variable for the exit route selection of occupants of a building in emergency egress, but how to evaluate it has not been well researched. In addition, familiarity with general space layout (building familiarity) and familiarity with exits (exit familiarity) are often interchangeably used, which may cause inappropriate understanding of building and occupant characteristics among fire engineers and architects. In the current study, a paper-based survey was conducted to examine the difference between the two familiarities in a six-story library building. The two familiarities were implicitly evaluated by the spatial knowledge of the participants on the locations of restrooms, elevators, stairways for exit purposes in an emergency, and their current location. Sixty-nine valid responses of the participants’ spatial knowledge were semi-quantitatively evaluated based upon the accuracy of the answered position against the actual position. 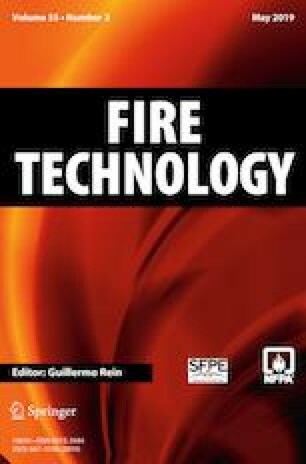 The results reveal that the two familiarities are not synonymous and needs to be understood and handled differently in fire engineering. In particular, the location of emergency-only exit stairways was perceived as low as 20% of non-emergency-only stairways; on average, each of the former and latter stairways was perceived by 8 and 33 participants out of 69 participants, respectively. This result raises concerns about the efficacy of the emergency-only-exit concept. The direction of the next destination out of a building was found to be a key factor to determine the travel route within a building where occupants have good familiarity with the building and surrounding places.